The course is over! Final grades will soon be submitted to MySlice. Thanks to everyone for a great semester, and enjoy your break. Other examples of geometric things of which we can consider the group of symmetries: friezes, wallpaper (aka 2-dimensional crystal structures, see also), 3-dimensional crystal structures, and so on…. 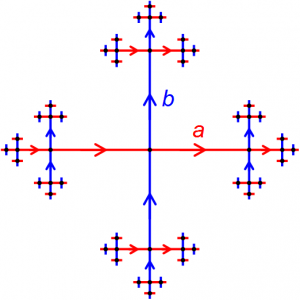 Where did the quaternions come from?